Twelve hours on a plane requires a good book and so I happen to fly to Paris reading “Paris for One”, found in a random book shop in Honolulu airport. Nice and easy read about a British girl ending up in Paris for an unexpected solo weekend. At first lost and not knowing what to do, she finally ends up having a great weekend. 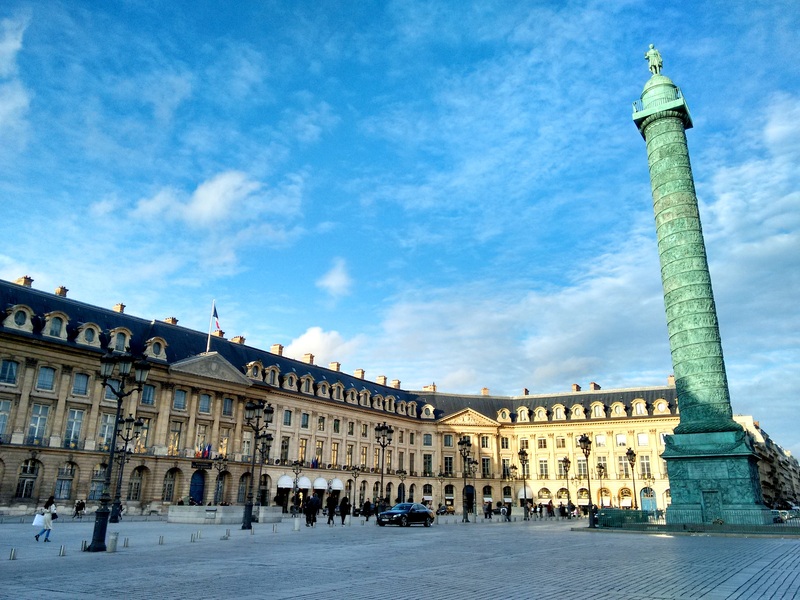 Place Vendôme. Photo taken in winter, love the sky and the light though. Paris is always a good idea and it does not necessarily require a company. Traveling on your own you can do different things and meet different people that you would not otherwise, from learning to design jewellery in Place Vendôme to sampling Japanese dishes a few streets further in the so called Little Tokyo, or admiring Monet’s water lilies and planning your next trip be it Giverny in France or Naoshima in Japan, to name just a few. L’École des Arts Joailliers (the School of Jewelry Arts). Looking forward to go back! 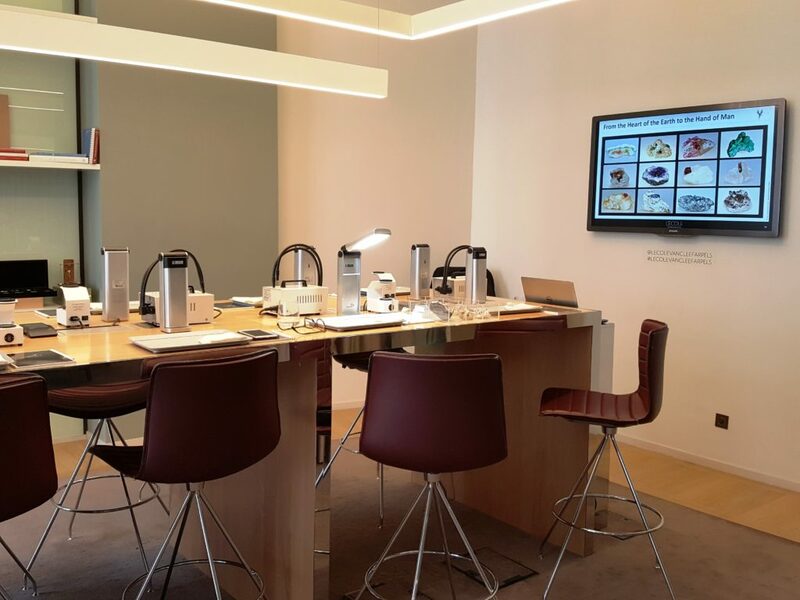 First, check the schedule of L’École des Arts Joailliers (the School of Jewelry Arts) that is supported by Van Cleef & Arpels and try one of their jewellery or gemstone classes. 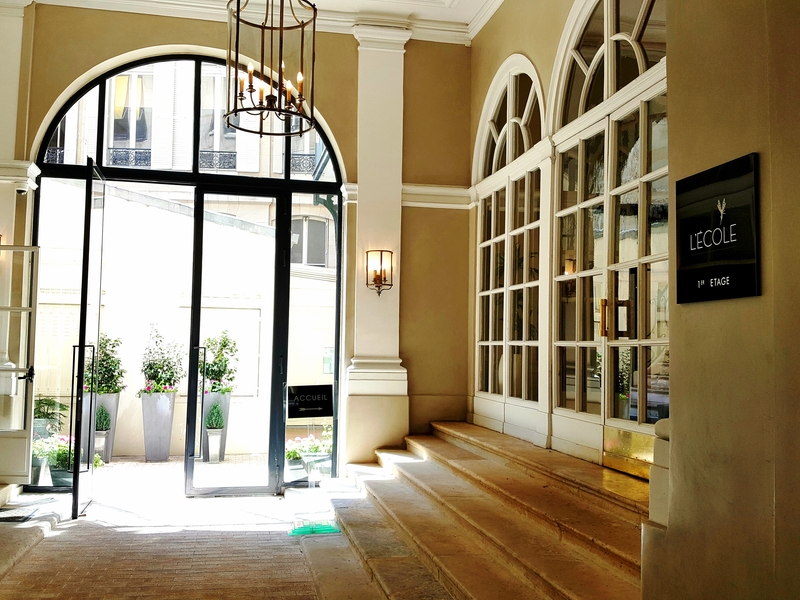 Based in the heart of Paris, they offer courses in both French and English, which are taught by experts actually working at Van Cleef and Arpels. Don’t tell me you are not curious to get a glimpse into the world of high jewelry and precious stones? Ready to explore the world of precious stones? For the diamond photo check @madameinjapan Instagram account! 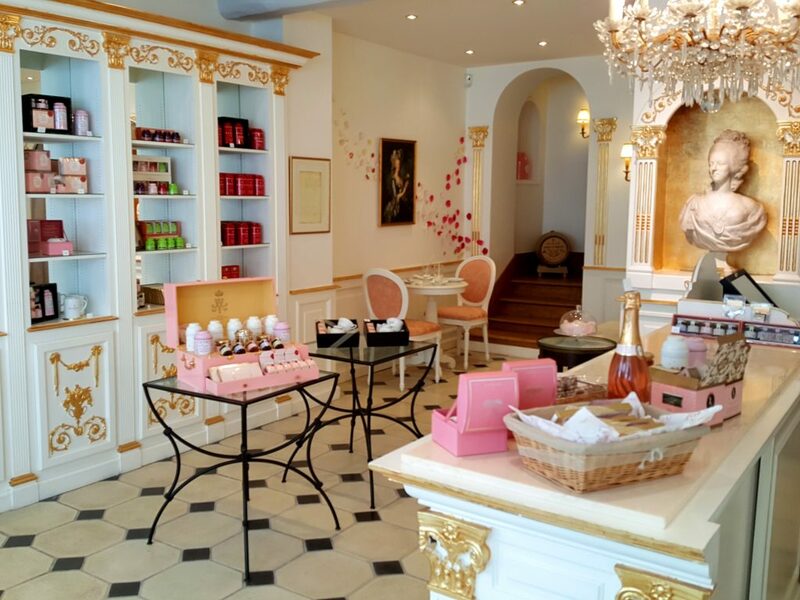 After the class, stop for a cup of exquisite tea and maybe dessert at Nina’s Paris at 29 rue Danielle Casanova. 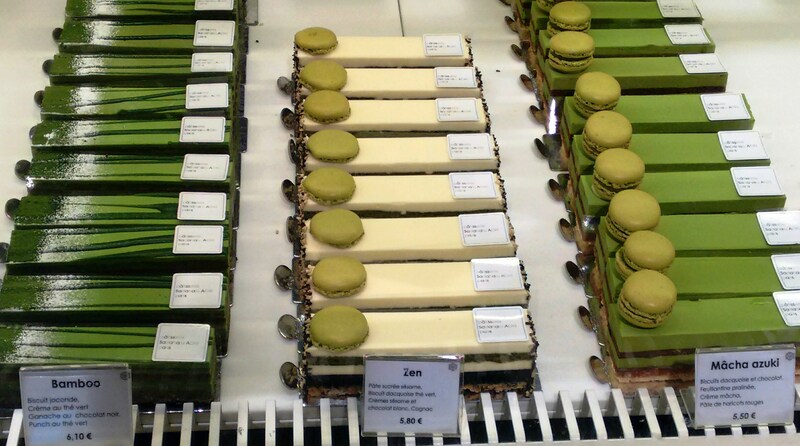 Nina’s Paris, accidentally found place for an afternoon tea. 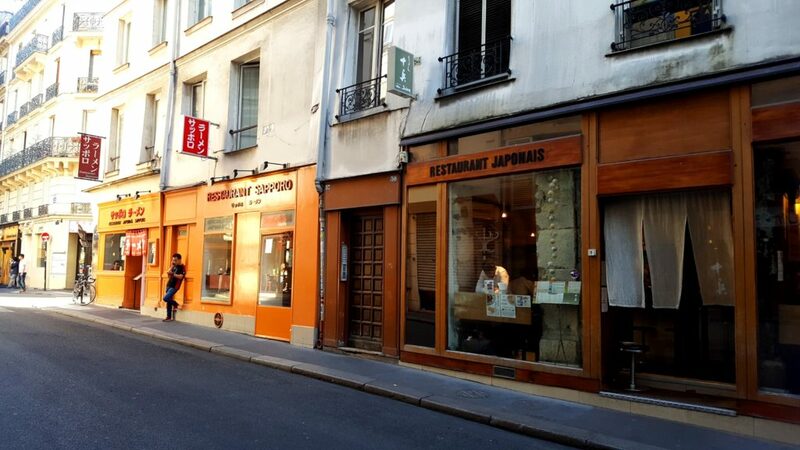 Then, wander a few hundred meters further down the street and you will bump into Rue Saint-Anne, since late 1990s or early 2000s better known as the Little Tokyo in Paris. If you ever wanted to visit Japan and have not had a chance, here you can try the food, get a travel guide and/or even a yukata (i.e. summer kimono). To end a perfect afternoon go to The Musée de l’Orangerie hosting Monet’s water lilies (booking ticket in advance is strongly advised). Sit down for a minute of reflection and maybe a day trip to Giverny will be your next plan? In my case, I realized I must visit Naoshima sometime soon. For those who do not know, it is a unique art island in Japan, considered one of the world’s best museums and also hosting several paintings from Monet’s water lilies series in a natural light setting. 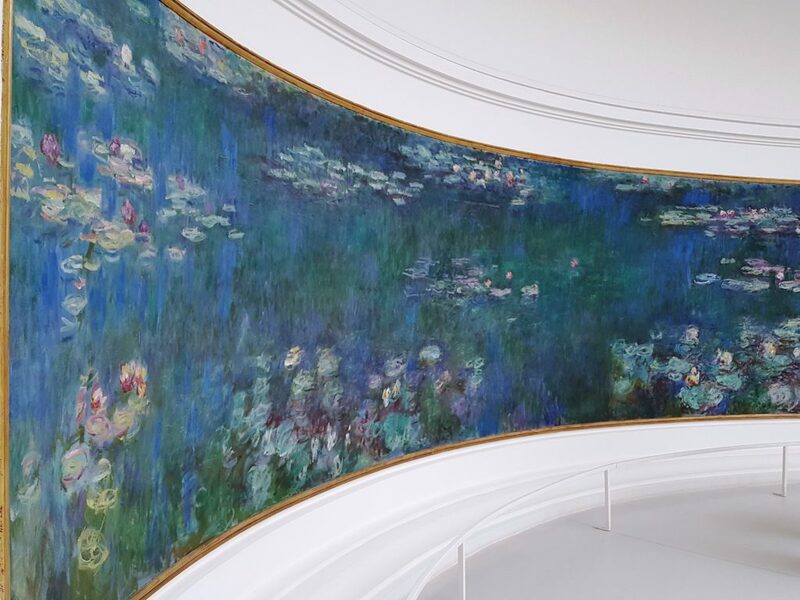 The Musée de l’Orangerie and Monet’s water lilies. Two oval rooms hosting four paintings each. White & light play wonderfully together! On the way back to Tokyo, I am reading a book by a Spanish author Francesc Miralles about a guy who travels to Japan to learn about wabi-sabi (*not to be confused with wasabi). While Wabi-Sabi is a term for Japanese aesthetics and refers to finding beauty in imperfection, I suddenly recall the class about diamonds, where I learned that it is exactly Japanese customers who always search for the most perfect diamond. Well, we discover new things as we go. While the “Wabi Sabi” book ends with the protagonist returning home thinking that he could have discovered the same truths staying at home, I think that in fact it does take a trip to get a new look and perspective to everything you are used to seeing around. 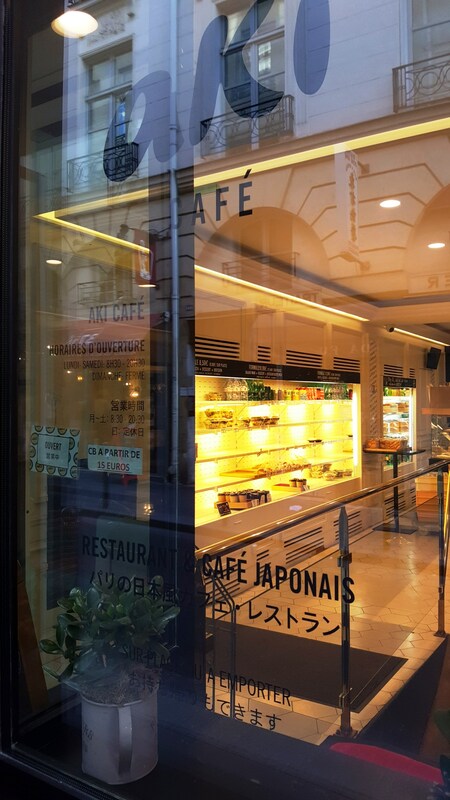 Aki café, Rue Sainte-Anne, Little Tokyo in Paris. This entry was posted in Europe, France vs. Japan and tagged L'École des Arts Joailliers, Little Tokyo in Paris, Monet, Musée de l'Orangerie, Nina's Paris, Paris, Paris for one, Rue Saint-Anne, the School of Jewelry Arts, wabi-sabi, what to do in Paris? by Madame. Bookmark the permalink.